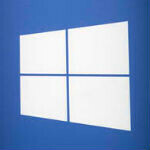 We have heard a couple rumors about Windows Blue, which is the reported update to Windows that is planned for mid-2013. What we had heard before was that the update was planned to be the universal version of Windows, and could possibly be offered for free to accomplish that goal. We also heard that it could bring support for 7 and 8 inch tablets, and now we're getting new details on how Blue will bridge the gap between tablets, desktops, and Windows Phone. According to a PCBeta forum member, Windows Blue is also being referred to as "Windows 9 Dev", and one of the main visual updates to Windows 8 (and theoretically RT as well) will be bringing the WP8 resizable Live Tiles to tablets and desktops. Additionally, the update will retain the "legacy" desktop mode, but will update the UI on the desktop mode to be more flattened and in line with the Metro UI aesthetic. Under the hood, the Blue update is said to be using a new version of the Windows kernel, version 6.3, which should make everything smoother and more polished. All in all, that's a lot of rumors surrounding this update, and a few of them are quite believable. We're hoping Microsoft unveils some real info soon. Ya we shall see if that 'big project' is successful or not. Not being a doubter buuuuttt Microsoft is entering uncharted territory by introducing a UI to a computer that is similar to that of what it uses on its smartphones. And people will try it out if it is really FREE of charge. This would be huge if it works. Wild card would be the success of Windows 8 on desktops. I have 7 now....and I have no want or need to get 8 unless it was pre installed on a PC I wanted. Since I go the custom PC route, that will never happen. You should give it a try. Windows 8 runs smoother and faster than 7 on the same hardware. Also, once you figure out how to navigate the new UI (which is actually quite simple) it can be more productive as well. I just jumped to Win 7 a few months ago...lol. Thats also part of the reason. They should change the name. I hate the name Windows Blue! I can understand why MS has to have W8 and WP8 separate, but I just don't understand why they need Windows RT. Why not use WP8 instead? if this Update is as powerful as it appears to be then folks you might have to do a clean install which would mean you have to back up your files and reinstall all you Windows programs. if it is a real improvement on Windows 8 then I will go for it even though I would have to reinstall all my Windows programs. I have experimented with the free start button return programs to see how well they work but how safe are they? I want Microsoft to make the App to do this because it would be done I think safer than 3rd party programs what do you folks think? Hmm will blue include an MS start button return app.